Hi There! Today, I'm sharing a quick card which I made for the current MFT Color Challenge #90. I love the combination of the soft colors and here is how I used those colors on my card. First, I inked up a white card stock with the Abandon Coral distress ink. Then, I used the happy sentiment die from MFT Cause For Celebration to die cut the word. Then, I layered it on top of another piece of happy word with Hickory Smoke distress ink. That gives a little dimension and gray shadow to the word. Next, I moved on to stamping the little birds from MFT Happy Hippos stamp set. I directly stamped the images using Memento Tuxedo Black ink and colored them with Copic Markers. 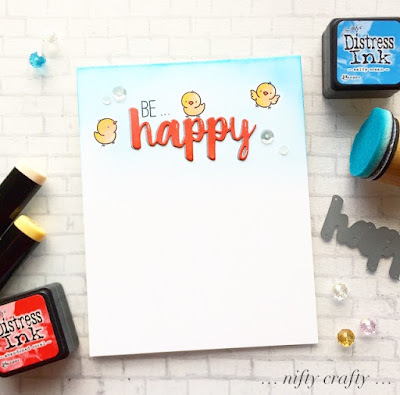 Then, I pulled out the Be Happy sentiment from the same stamp set and stamped it on top the word Happy. For the background, I simply inked it with Salty Ocean distress ink. I finished off the card by adding some sequins and some details on the word and birds using white gel pen. That's all! Hope you like this simple CAS card. Super use of the one third element, love your card. Thanks for playing along with the AAA Cards Challenge. Thanks Elaine!! :) I love them too! Nice card with bright sentiment. Congrats on your win for this darling card at Addicted to CAS! 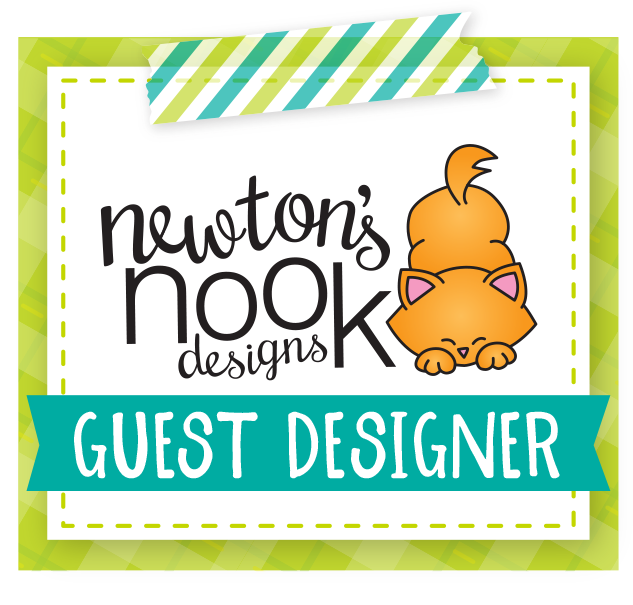 I hope you'll join us as our Guest Designer for the next challenge! fun card, sweet CAS design! I am so glad you played along with us at simon says stamp wednesday challenge!